HEIDI ROSS is a creative director and photographer whose work has been featured in group shows alongside William Klein, Richard Avedon, and Vivian Maier, as well as on album covers, book jackets, and in branding campaigns. Her work has been featured in the New York Times, Vanity Fair Italia, Town & Country, Rolling Stone, the Wall Street Journal, Bloomberg Business, NYLON, The Guardian, L'Officiel, FOCUS, Entrepreneur, and Interview. Her first solo exhibition, Ilk: Similars 2004-2016, opened at Third Man Records in Nashville in April 2016. She lives in Nashville. Heidiross.com. JON MEACHAM received the Pulitzer Prize for his 2008 biography of Andrew Jackson, American Lion. He is also the author of the New York Times bestsellers Thomas Jefferson: The Art of Power, Destiny and Power: The American Odyssey of George H.W. Bush, American Gospel, and Franklin and Winston. Meacham, who teaches at Vanderbilt University, is a fellow of the Society of American Historians. He lives in Nashville with his wife and children. Nashville: Scenes from the New American South beautifully captures my home city of Nashville in this exciting moment of change and growth. This book is excruciatingly gorgeous. Every page makes me homesick. A great book about a great city. This has been a time of such great change for Nashville that I think we are all very curious to see who we are now. 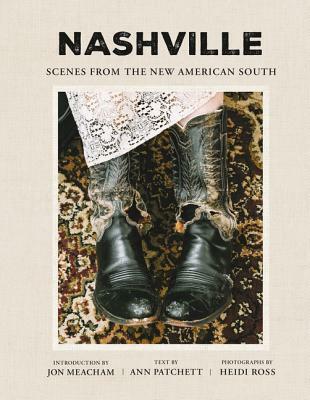 This book reminds me, in the sweetest way possible, that I probably should have never left Nashville.